Ive found this https://www.thingiverse.com/thing:704409 its file print. 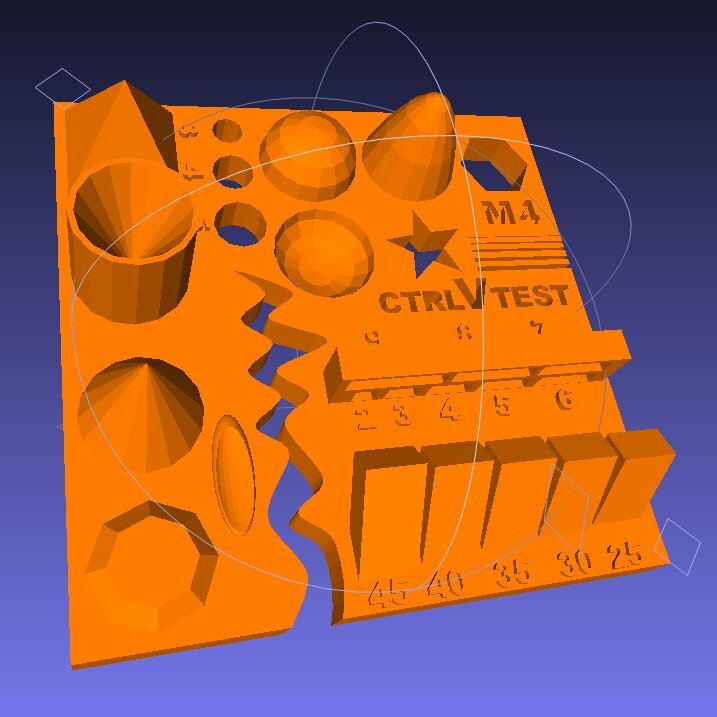 This is a great .STL file for testing your 3D printer. What is more it was designed with the idea that it should be used to compare both between different printer models, between different printers of the same model and also for testing the change in your own 3D printer on different settings. I agree, thanks for contributing.